Ulster’s Iain Henderson has been named in the Ireland team for Saturday’s Six Nations Grand Slam match against England. Henderson replaces replaces Devin Toner in the side and that is the only change to the side from the one that beat Scotland. Peter O’Mahony, Rob Kearney and Cian Healy have shaken off injuries to retain their places in the side and they will all start at Twickenham. 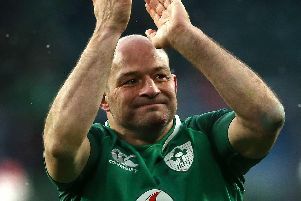 Ireland are seeking to emulate the teams of 1948 and 2009 by achieving just their third Grand Slam success.